Many students struggle in math, not because they lack computation skills, but because they do not know the language of math. 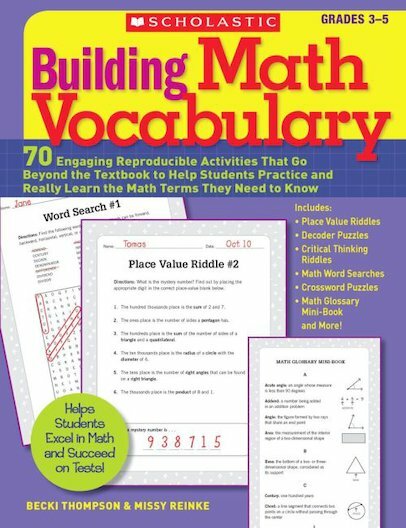 This book fills an important need, providing students with essential practice in using key vocabulary that they often encounter in math. Engaging formats, such as riddles, puzzles, and word searches, help students master the vocabulary they need to succeed in math and on tests! Includes a reproducible math glossary mini-book.